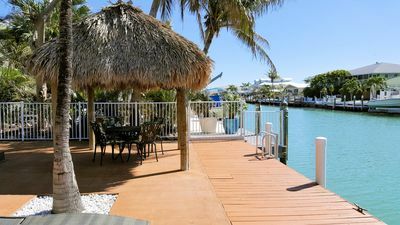 Key Colony Beach 3-bed, 2-bath 60 ft Canal dock, access private BEACH club! 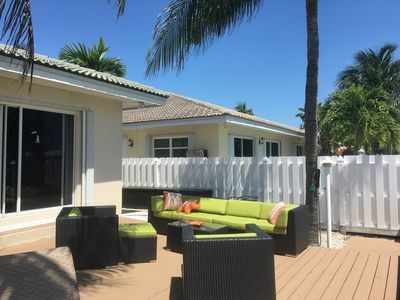 This rental allows for large family togetherness, but also, large space to retreat to for quiet separate-time for work or relaxation. We have WiFi. We are pet friendly. 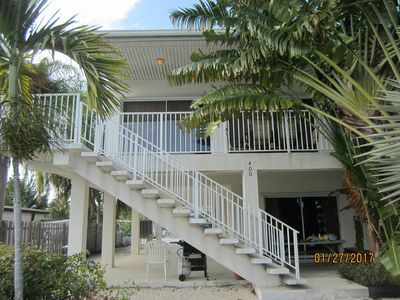 Easy to get in/out of the home, because there are no staircases to walk up and down. Great for elderly/special needs patrons. 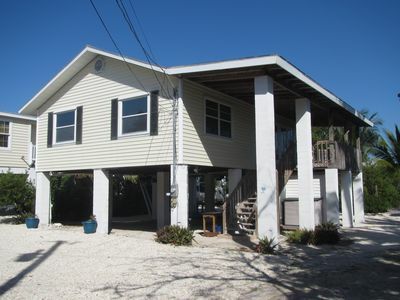 This 3- bedroom 2-bath home has queen size beds in each room with 2 additional sofa sleepers. A total of ten people can sleep in the home. 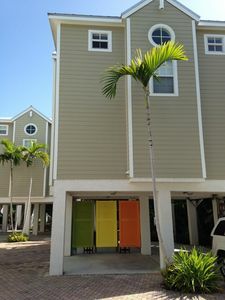 We belong to the PRIVATE ocean beach Cabana Club which is a just a 3- minute walk down the road. 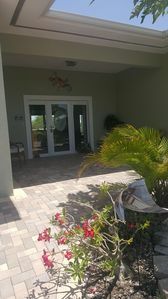 The club has a pool overlooking the ocean, bar, spa/whirlpool and great food to order.The club plays live music at times. 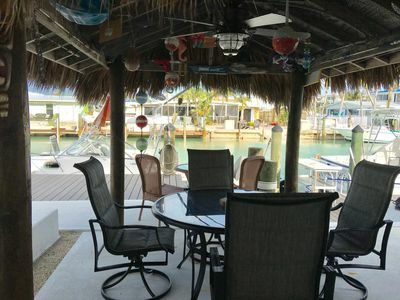 Our home has a very nice dock system that measures 12 ft. by 60 ft. with another 4 foot drop down dock for easy on/off of boat. There is a bait freezer next to the cement fish cleaning station with freshwater hose dockside. There is plenty of parking for several cars and boat trailers. The back yard is private. There is a decorative block that will separate you from the neighbors on both sides. 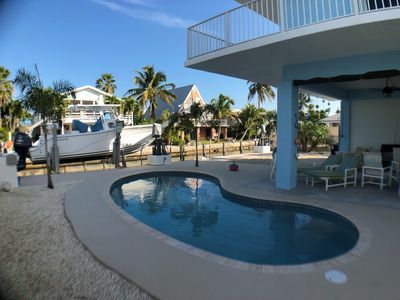 Fish off the dock or go on a charter. 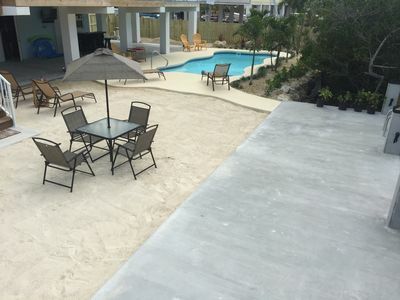 Quick access to the open OCEAN and can also get to Gulf side. 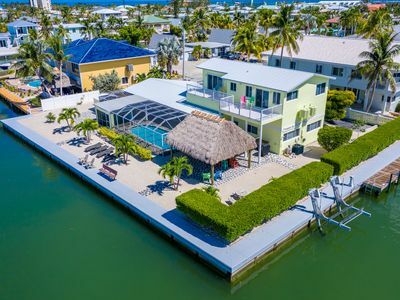 KCB is a great location within the Keys, also know as the "Gem of the FL Keys" which is one hour south of Key Largo and one hour north of Key West. KCB is a quiet /safe area that is ocean-side mile marker 54. We walk to the restaurants/bars and Sunset Park. 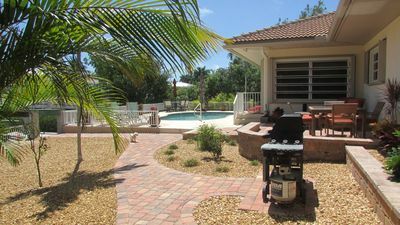 The entire home has ceramic tiling with central air conditioning and ceiling fans, 2-cable tvs, wifi, and 2- refrigerators with top 1/3 freezers, 2- microwaves. The kitchen is well equipped. 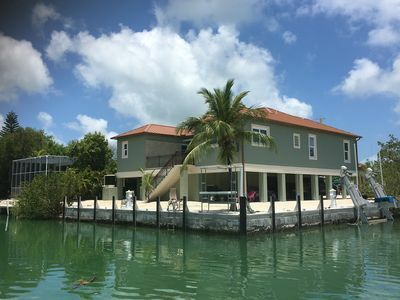 When you rent this home, we can give you ideas of things to do and things to see while you are in the Florida Keys. 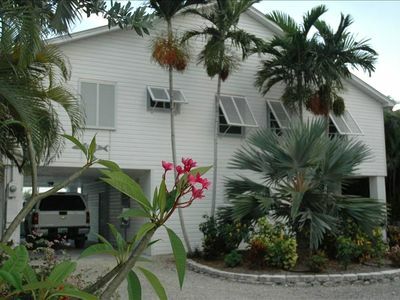 We have owned and operated this home since 1998. Please call us with any questions. 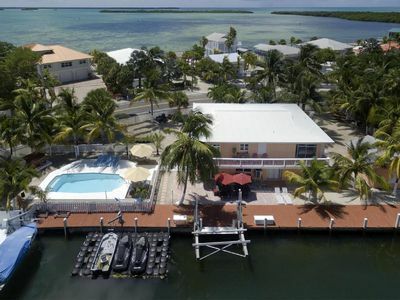 Gregg's Key Colony Spacious 4 Bedroom. Canal. Pool club. 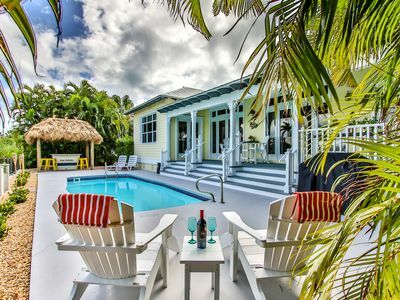 The Rock Lobster Bungalow, perfect spot for your Keys vacation! 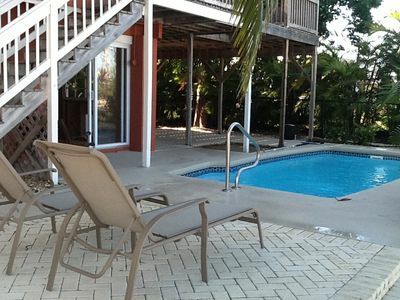 Beautiful, 2100 sq ft 3/2 w/ocean views & easy ocean & gulf access. 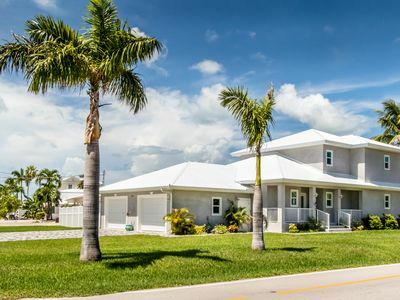 Brand New Construction Vacation Home!! 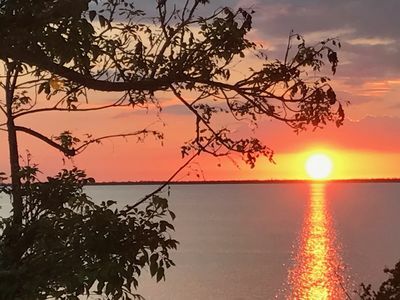 Summer Specials! New on Rental Program! 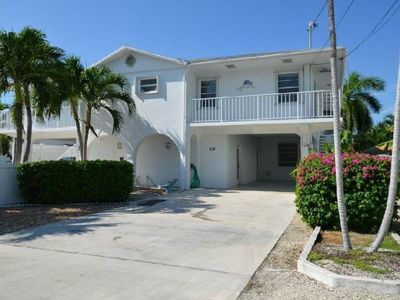 Pool home on 14th with dockage!